Heber Alba Harris, Hiram's father, came to America from Manchester, England (Pontefract) around 1790, perhaps with several brothers (Hosea, Samuel, Ezekiel). His name was first recorded in the Brooklyn, Connecticut marriage records in 1799. Heber's wife was Polly Phillips Harris, born Pomfret, Windham County, Connecticut on February 26, 1784. Heber's father was Paul Harris, his mother was Amy Stanton Harris (Hiram's Grandparents). Hiram lists his father in the 1870 Michigan census as having been born in Cornwall, England. In the winter of 1804, Heber Harris, with his wife Polly (Phillips) and their three little boys traveled to Otsego County, New York where they stayed until the spring of 1814. 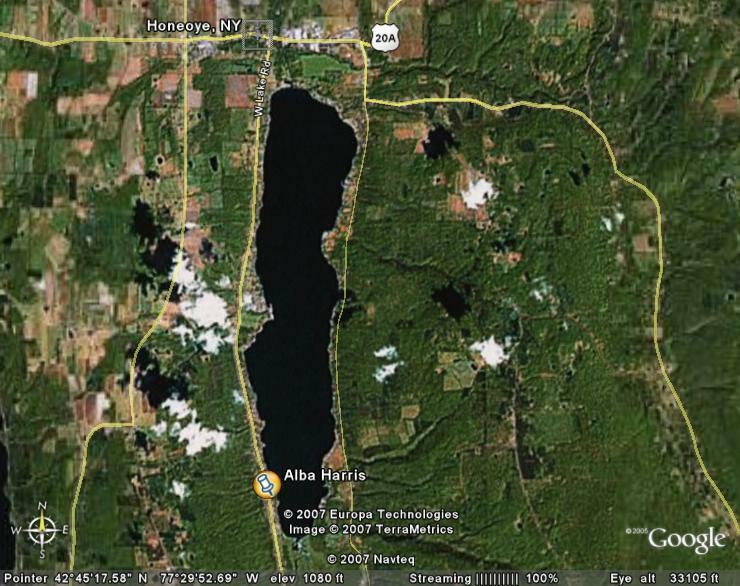 They then made their final move westward, settling on the west bank of Lake Honeoye, New York (see Map). By that time, there were nine children. Hiram was the eldest of those children. Hiram Harris had been born in Brooklyn, Connecticut on November 20, 1800. 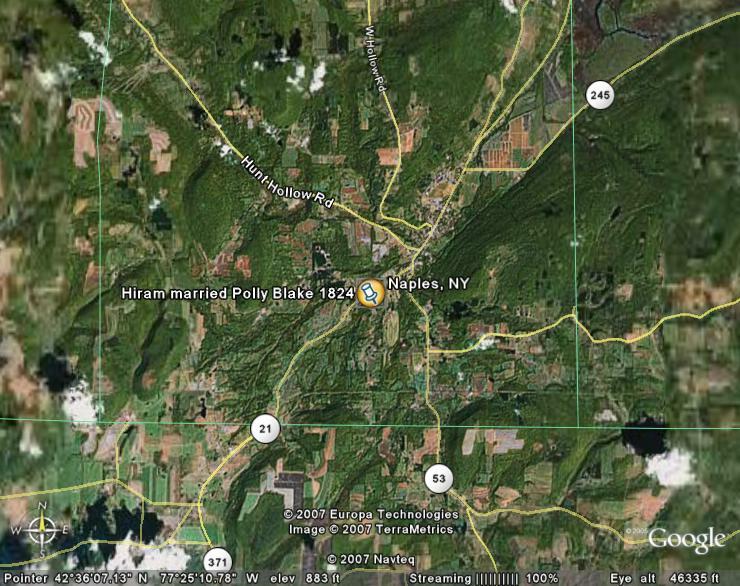 He married Polly T. Blake on March 28, 1824 (see map) In Naples, New York. Polly was born February 24, 1806, in Brattleboro, Vermont (father - James Blake, Jr.; mother - Levina (Lavina, Lovina, Luvina) Fisher, married August 23, 1804 in Marlboro, VT). The Hiram Harris family then moved from Ontario County, New York, to Utica, Michigan, then to Macomb County, Michigan, eventually arriving in Dryden, Michigan (Lapeer County). Four Generations: Harold Horace Harris, George Leonard Harris, Heber Harris, and Polly Blake Harris.